A monaural configuration for the ultimate evolutionary step toward the ideal stereo The D1 follows the monaural configuration of the D-01, which we introduced in 2004 as the world’s first monaural D/A converter. The D-01 was developed with the goal of attaining the highest level of channel separation and the ideal power supply to each channel. In the new D1, we have introduced the latest technology and further enhanced the design. 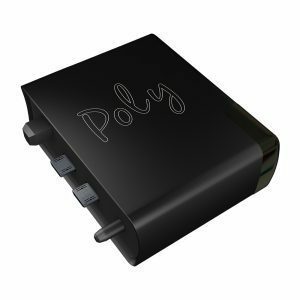 The right and left channels can now be link-connected with a single HDMI cable (provided), and easy input from external source devices is possible. With the D1, you can enjoy a world of incredible stereo with the rich stereo image and sonic depth that is only possible with a monaural configuration. 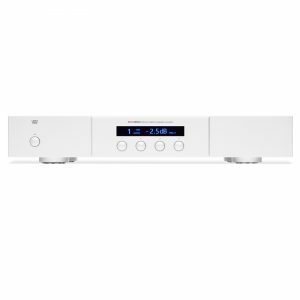 Outstanding sound quality with 36-bit processing resolution Aiming for the pinnacle of sound quality, we have incorporated the AK4495S, a state-of-the-art 32-bit DAC device developed by Asahi Kasei Microdevices Corporation. Sixteen circuits per channel are provided to achieve phenomenal linearity and low noise. In addition to direct processing of the DSD signal, a new 36-bit D/A processing algorithm has been adopted for analog conversion of the PCM signal at 36-bit resolution. The result is fine, smooth sound quality as along with high resolution. ESOTERIC-HCLD*: ESOTERIC’s own output buffer circuit featuring fortified current transmission A high-speed current transmission capability is the most important factor of an analog output circuit for transmitting a wide dynamic range of music signals downstream without deficiencies. For the ultimate performance as a line driver, the output buffer amplifier circuit of the D1 makes extensive use of materials and is configured with its own board separate from the D/A converter. The current output capability is high, and the high-performance elements adopted for the slew rate, which indicates response speed, boast the incredibly high speed of 2000V/㎲. The ability to supply instant current is maximized with an extravagant buffer circuit configuration utilizing one circuit for RCA output and one circuit each for hot and cold connections for XLR output. 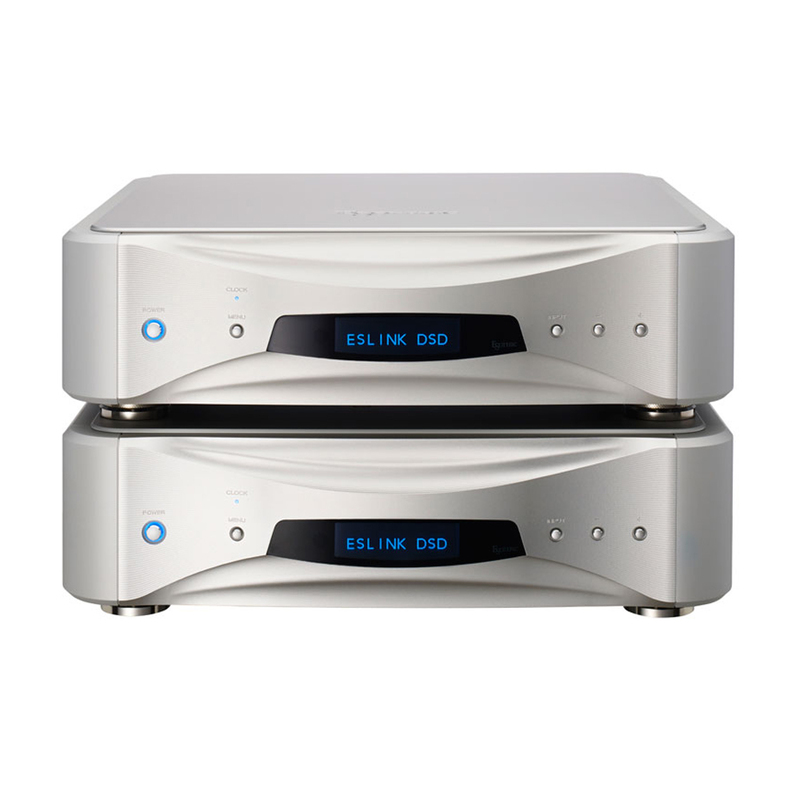 With the ESOTERIC-HCLD, the D1 reproduces the dynamism of music with breathtaking reality. *HCLD=High Current Line Driver High sound quality through the separation of digital and analog circuits All analog circuits (DAC circuit analog portion, HCLD buffer circuit, etc.) are electrically separate from the digital circuits. This further enhances the clarity of sound quality by preventing the intrusion of digital noise. Large toroidal transformers boasting high speed and surplus power supply capacity Two large toroidal power supply units are installed for the digital and analog circuits, enabling high-efficiency and high-power drive operation in addition to low noise and low distortion. Stable and clean power is supplied to each circuit block by strong power supply circuits incorporating multiple large capacitors. Wide-ranging D/D conversion functions to handle many source types In addition to playback in the original sampling frequency, the D1 has functions for x2, x4, and x8 up-conversion of PCM digital signals. There are also various D/D conversion modes for PCM format (PCM-to-DSD conversion function, etc.). 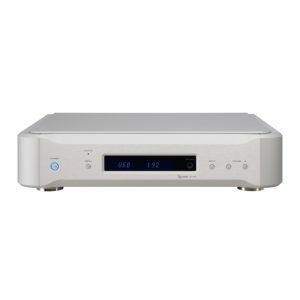 Seven types and eight channels of digital input that support high sampling rates To enable connection to an extensive range of devices, the D1 is equipped with wide-ranging digital inputs of seven types and eight channels (ES-LINK x 1, XLR x 1, i.LINK 4p/6p x 1, USB x 1, coaxial x 2, optical x1), and can be used for high-sampling-rate sources of up to 24-bit/192kHz. In addition, XLR x 2 supports high-sampling-rate/high-bit inputs of 48-bit/192kHz (ES-LINK3) and 24-bit/384kHz (Dual AES 8Fs). 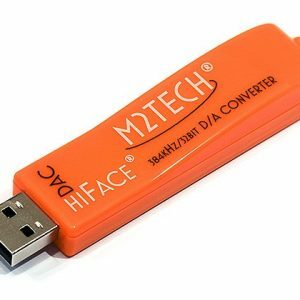 USB input supporting 32-bit/384kHz PCM, 2.8/5.6MHz DSD, and asynchronous transmission The D1 comes with USB input supporting asynchronous transmission and rates up to 32-bit/384kHz PCM and 2.8/5.6MHz DSD. Using ESOTERIC’s original PC driver software, the D1 achieves high-grade playback of even studio-master-quality source files. DoP and ASIO 2.1 are also supported. *ASIO is a trademark of Steinberg Media Technologies GmbH. *Mac is supported only by the standard driver DoP method. Excellent usability Either Hot 2 or Hot 3 can be selected for the pin assignment of the XLR audio output.